Home » Use » Royalty Free » What makes a stock photo a premium stock photo? What makes a stock photo a premium stock photo? If you’re new to the stock photography industry you may have already noticed that the terms ‘microstock’ and ‘premium’ keep popping up. In case you don’t know the difference, microstock agencies adopt a low price, high volume approach which has flourished with the aid of the internet. Premium stock photography agencies take a different approach, aiming for higher quality which comes with a higher price. Premium stock agencies tend to target the professional market, whilst microstock sites are more suitable for web use and low-budget professionals. There is a common misconception that ‘royalty free’ = ‘microstock’ and that ‘rights managed’ = ‘premium’. While RM images do tend to be premium, RM and RF are simply license models and do not define whether or not an image is premium. Image Source, for example, is the biggest independent producer of premium images. They produce and distribute under both licences (view their royalty free stock photos here). Many factors determine whether an image is premium or not. Ultimately it’s about creating imagery that stands out from the crowd… the world is saturated by imagery, so producing something ‘premium’ requires a lot of resources, research and hard work. Premium stock photos therefore have a much higher production value than their microstock counterparts. Premium photography starts with a lot of research. Keeping on top of trends is essential because premium buyers tend to be advertisers, brand managers and publishers who need the latest trend-driven imagery. Research teams constantly monitor the industry, feeding back to a dedicated art direction team who are responsible for developing ideas and setting up shoots. A lot of resources must therefore go into pre-production to ensure that the imagery is relevant, on trend and in demand. Premium stock photos must be contractually secure so that buyers can use images safe in the knowledge that they have the right to do so with no repercussions. There are strict processes in place to ensure that images are fully released. This means that any person present in an image, or the owner of any property in an image, has signed a release form, giving their consent to their property or themselves being in the image licensed. This is also required of the image copyright holder. With these processes in place, image buyers are able to license and use images safe in the knowledge that they are allowed to do so. This is not always the case with microstock companies, although release requirements are becoming stricter. The photography equipment used is very high end allowing images to be sold in much higher resolutions, usually in excess of 50MB. This doesn’t mean that you can’t buy low-res premium images, just that the hi-res files are available if you need them. This is less important for use on websites, but is essential for large print and HD displays. Premium images then go through a vigorous retouch process to ensure that quality is maintained and the images can be used at high resolutions. Attention to detail is essential and each image could go through up to 10 hours of retouching to make sure it is suitable for market. Images are then vetted and go through a touch selection process. It is not unusual for only a small percentage of images to be selected for distribution ensuring that only the very best are available to purchase. 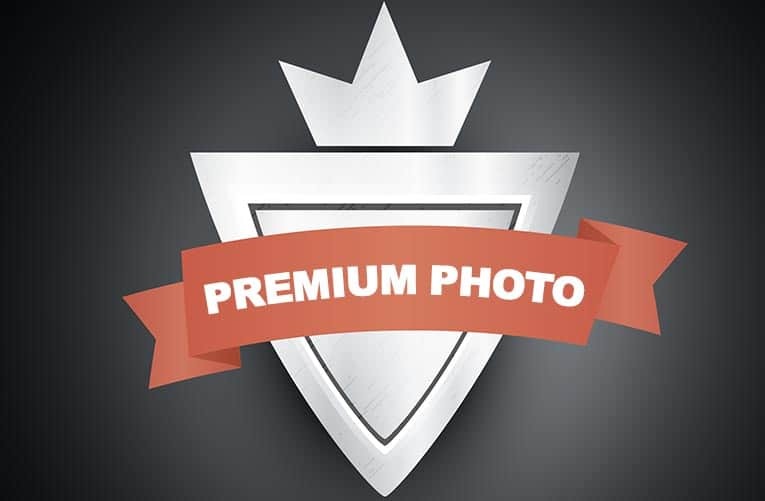 The image subject is essential to determining whether it is premium or not. For example, anyone can take a photograph of a crowd, but to obtain model releases from everyone is extremely difficult. Missing just one renders the image unsaleable. Consequently, there are relatively few crowd shots available for commercial use and fully released crowd shots are in high demand by premium buyers. Some images are also difficult to take due to access restrictions. Setting up shoots that feature hospitals, airports and heavy industry are very challenging and therefore those that are taken, assuming they meet the other requirements, have a much higher value than non-premium images. Premium is not just about location and setting though; sometimes it’s about capturing the right moment. Emotion is notoriously difficult to capture in the context of stock photography and can take hundreds if not thousands of attempts to achieve. If the image manages to capture genuine emotion and instantly communicates a concept then you may well have a premium image. However, being a split second out and missing that moment could leave you with nothing. It’s not as easy as some might assume to juggle all the balls required to shoot great, relevant, saleable, on-trend stock photography. But when you do, it’s well worth paying a premium for it.